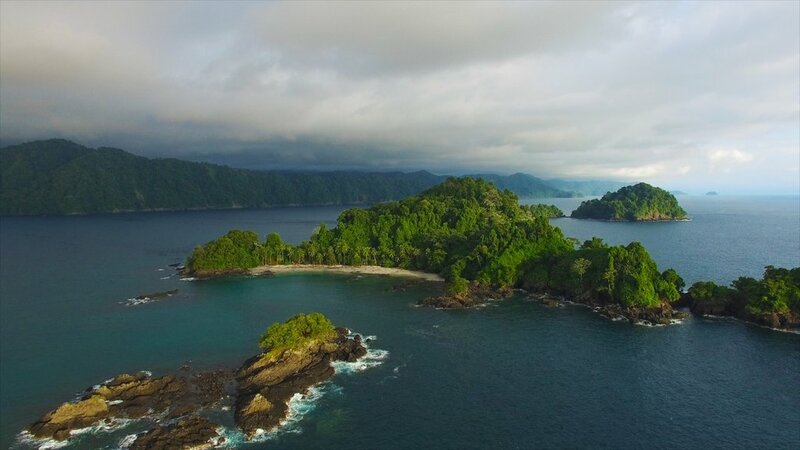 A visit to El Chocó on the Pacific coast opens up adventurous opportunities to explore the jungle, go whale watching or scuba diving. You can also just enjoy the sea view from your hammock, gazing across a Pacific Ocean that looks very different from the one many know on the West Coast of North America. The following areas of El Chocó covered here are located in the area around Nuquí and Bahía Solano. Visiting traditional villages is a highlight of a trip to El Chocó. 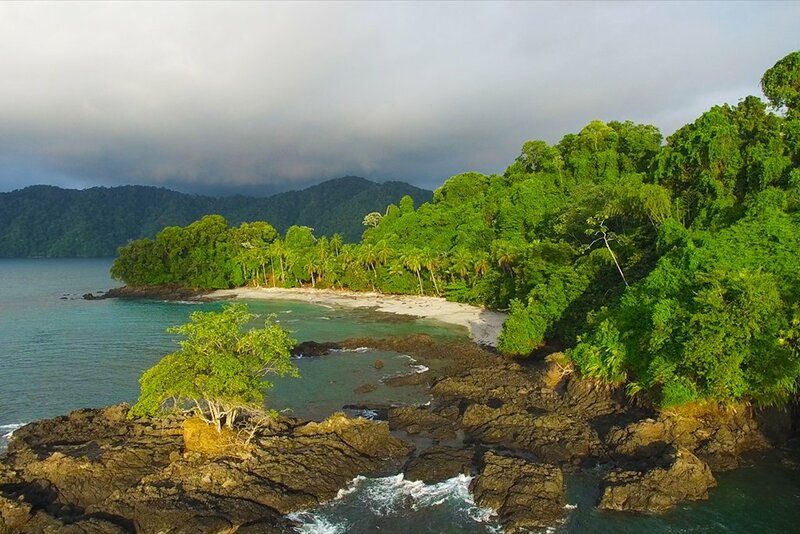 El Chocó on Colombia’s Pacific coast is a gorgeous region of waterfalls pouring onto beaches, thick jungle that meets the sea, and isolated coastal villages that are immune to mass development. 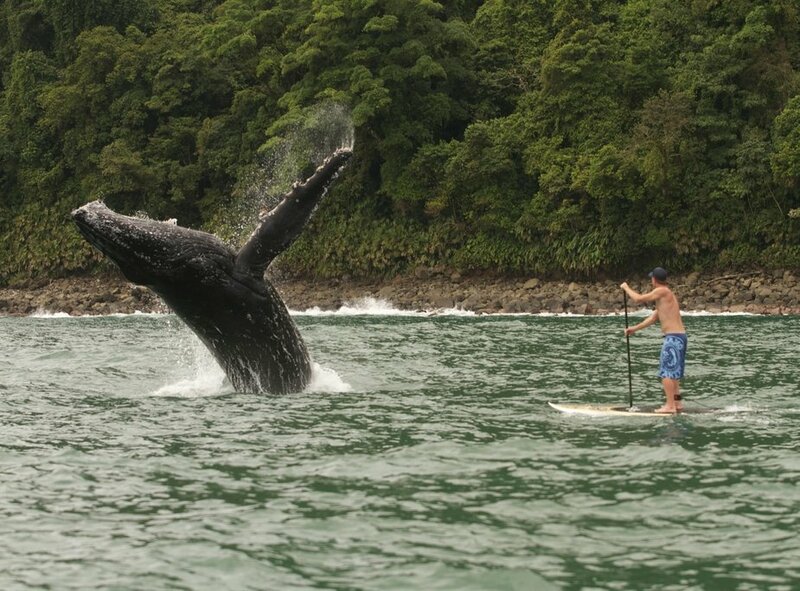 The Pacific waters off El Chocó are a perfect breeding ground for humpback whales, which can be spotted between June and November. Sport fishing for blue marlin and sailfish is one offshore activity. The area’s unique biodiversity also includes glow-in-the-dark mushrooms, giant leatherback turtles, and poison dart frogs. 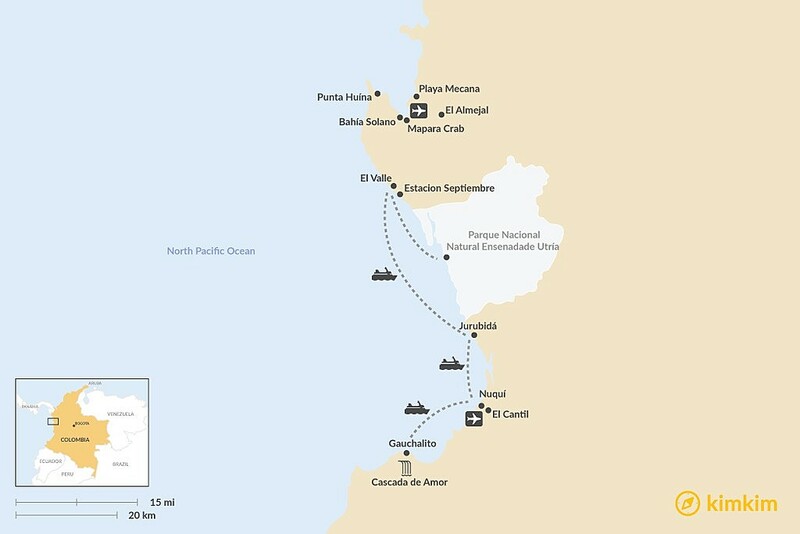 El Chocó is usually reached by flight from Medellín to Nuquí, from where you can explore nearby beaches and villages by boat (there are few roads). Flights also arrive here from Bogotá. Due to the lack of English and difficulty in getting around we recommend traveling in the area with a guide. Be prepared for rain, El Chocó is one of the wettest places on the planet with 16-18m of rain per year. Facilities are pretty basic in the area so bring cash as you may have trouble finding an ATM. The best whale watching is from June to November. Begin your visit with a flight to Nuquí, a small town of 8000 people that makes for a good jumping off point to visit other areas of the coast. Few people stay here, instead making a beeline to either Jurubidá or Gauchalito. 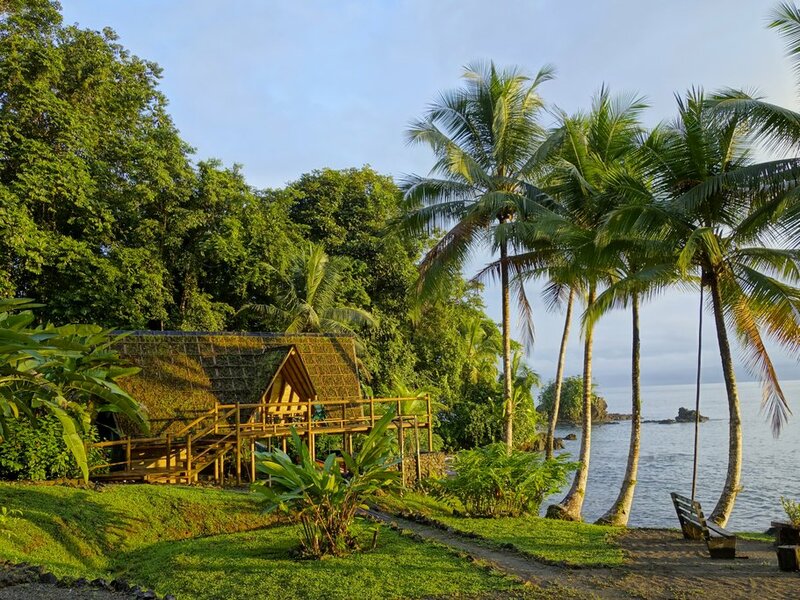 Gauchalito is a 30-minute boat ride west of Nuquí, the jungle collides with the beach here and you can find several resorts strung along the coast. Besides lazing on the beach, the main activity here is a walk to the Cascada de Amor waterfall, a beautiful cascade that tumbles into a natural rock pool. A 45-minute boat (lancha) ride north of Nuquí brings you to Jurubidá, a tranquil beachside community of colorfully painted wood homes. The village is located on a bay at the mouth of a river. Many of the locals make a living on nearby banana farms and you can see their product hauled downriver in overloaded canoes. Besides lazing on the beach, the main activity in Jurubidá is a boat ride upstream to a collection of hot baths, completely surrounded by jungle. Nearby the pools are natural rock waterslides. The area is also known for its large swarms of butterflies. 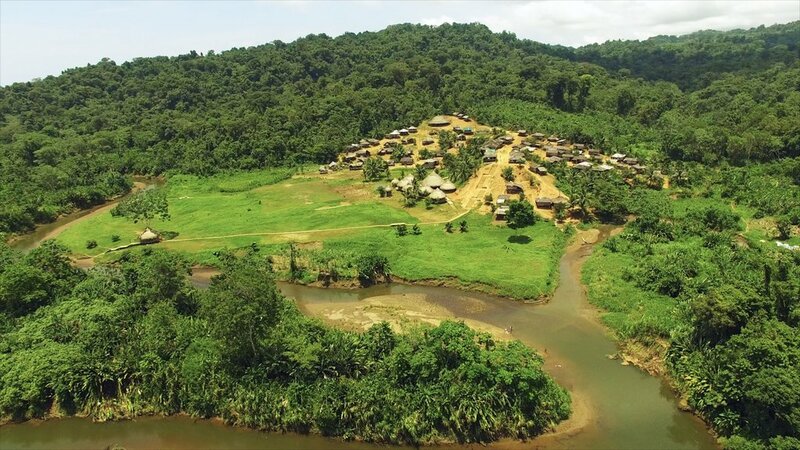 Locals in Jurubidá can help arrange a visit upriver. Another natural phenomenon occurs on an island just off the coast at Jurubidá. Wait for the tide to drop and natural rock pool forms on one of the islands. Accommodation can be found in simple guesthouses. From Jurubidá you can pre-arrange a boat to take you to further up the coast to El Valle, a community of around 3500 people. If you are coming from the other direction, taxis are available from Bahía Solano. El Valle has a strong Afro-Colombian influence and you can encounter African singing groups here. Restaurants in town offer excellent fish dishes and coconut ice cream. Surfing is possible and you can rent a board from the guesthouses. From the town, head inland for jungle walks and hikes to Cascada del Tigre, a large waterfall, and swimming hole. Don’t miss Estacion Septiembre, a turtle nesting sanctuary and research station located 5km south of El Valle. Turtles lay their eggs here between June and December (view them at night). Hostels, hotels, and guesthouses are available in El Valle. One of the best value places to stay is the Humpback Turtle, a remote lodge with an open-air kitchen where guests make communal meals. Parque Nacional Natural Ensenadade Utría is a nature reserve reached by boat from El Valle. The park is home to stunning rock formations, gorgeous beaches and sea caves. During the calving season, whale watching is possible from the narrow inlet on the coast, a rare opportunity to see whales from the beach. Snorkeling, kayaking and diving are also possible here. Shore walks inland reveal mangroves and jungle where you may spot glow-in-the-dark mushrooms. Stay overnight in bunk accommodation in the park. 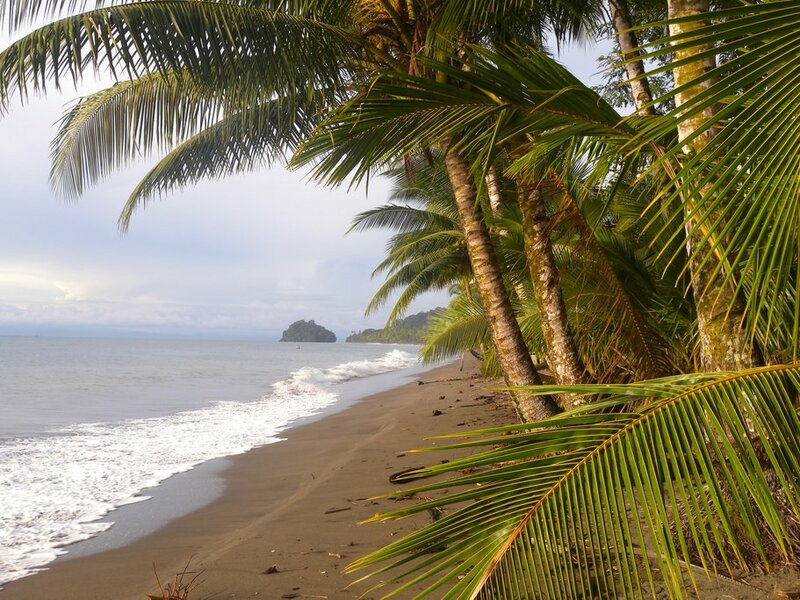 Palm trees line a remote stretch of beach in El Chocó. 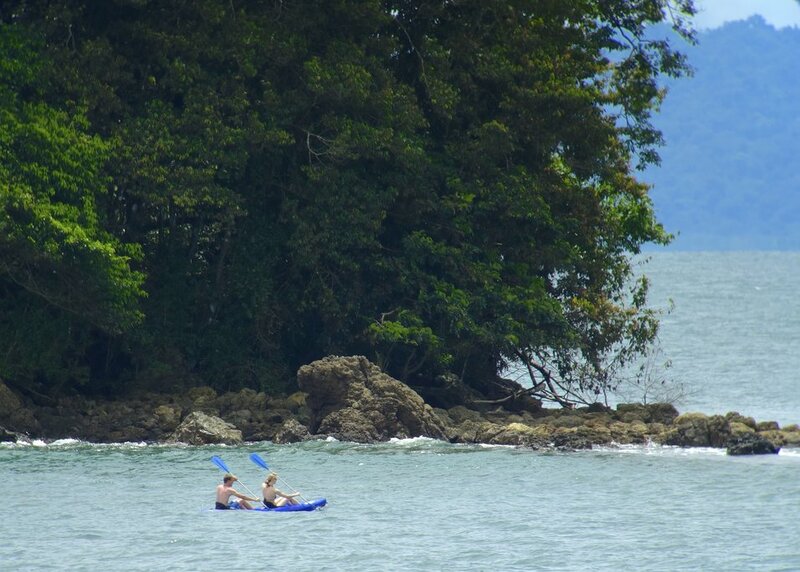 The northernmost area worth visiting in El Chocó is Bahía Solano, the largest settlement on the coast. Sport fishing trips for blue marlin or sailfish can be arranged here. Other activities include whale watching, scuba diving, and hiking. Close to the airport, don’t miss the Salto del Aeropuerto, a large and impressive waterfall. There are several good beachside communities nearby, lined with coconut palms and virgin tropical rainforest, these include Punta Huína and Playa Mecana. 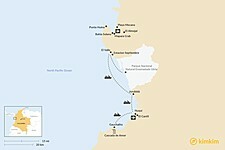 Bahía Solano has several good hotels, plus seafood restaurants. You can fly into Bahía Solano, but the airport is often closed due to heavy rain in the area.